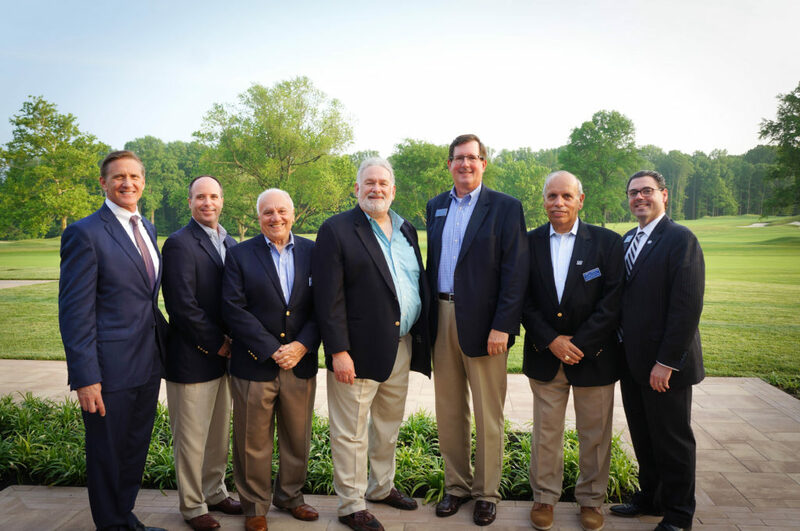 “The Business Council is pleased to announce the induction of its four new members. The ceremony took place during the council’s year-end social event on Friday, June 1, 2018, at the Hollywood Country Club in Deal, N.J. Leading the program were William MacDonald, president of the Business Council, and Richard Ricciardi, chair of the membership committee. Dean Donald Moliver, Ph.D., delivered the opening remarks. Hiles is a senior partner of First Capital Advisors Group and First Capital Investment Partners. He has over 30 years of experience working with high-net-worth business owners, executives, and medical professionals. As a passionate analyst of financial markets, Hiles has been a special guest on CNBC and Bloomberg. His involvement with the New Jersey Coalition for Financial Education allowed him to develop a financial literacy course for high school students. Hiles is a trustee and an investment committee chair for CPC Behavior Healthcare, one of the largest non-profit organizations in New Jersey. He graduated from Bucknell University, majoring in economics. Hiles has received designations such as chartered financial consultant, accredited estate planner, certified fund specialist, certified financial planner, and chartered life underwriter. Devery is vice president for Institutional Planning and Research, Thomas Edison State University, Trenton, N.J., a position he has held since 2012. Devery had a distinguished career in the U.S. Army, retiring as a colonel. His last assignment was commander Joint Training and Training Development Center, New Jersey Army National Guard, Joint Base McGuire-Dix-Lakehurst, N.J. Additionally, Devery had a combat tour in Afghanistan. He was a qualified Army Instructor Pilot in the AH-1 Cobra helicopter. Giving back to the community is one of Devery’s passions. He is presently the board chairman of the Burlington County Regional Chamber of Commerce. He serves as a board member for the Camden County Chamber of Commerce as well as the YMCA of Burlington and Camden Counties. Devery received his Doctor of Education from Rowan University, Master of Strategic Studies from U.S. Army War College, Master of Science in management from Thomas Edison State College, and Bachelor of Science in management from Rutgers University. Corsentino is the chairman, a board member, and an investor in Moss, Inc., a $65 million metals, lighting manufacturer, and service company providing high-end quality print and structures for trading shows, retail, sports, and events markets. He spent his career as a chief executive officer, board director, investor and corporate turnaround specialist with extensive experience leading B2B manufacturing organizations to highly profitable outcomes. Additionally, Corsentino has extensive global experience with acquisitions in Europe and Canada. He established strategic partnerships in Mexico and Asia, successfully developing over $130 million in international business. Corsentino received his undergraduate degree in business administration from Rutgers University and his MBA from Monmouth University. He has served proudly in the U.S. Army. Since 2017, Tuzzio has served as vice president, small business lender for OceanFirst Bank. He is responsible for overseeing the bank’s small business loan growth for the New Jersey counties of Monmouth, Mercer, Middlesex, Somerset, and Hunterdon. Tuzzio closed 3 million dollars of new business in his first year in this position.